Christmas in July, for Only 99 Cents! 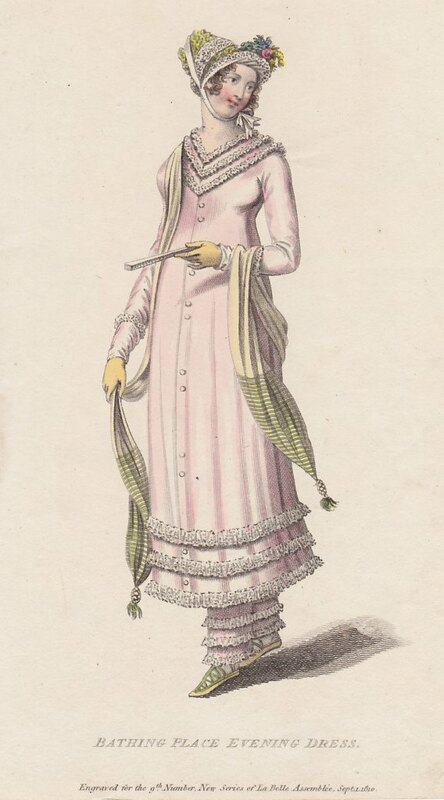 A gown of white French cambric, or pale pink muslin, with long sleeves, and antique cuffs of thin white muslin, trimmed with Mechlin edging; made high in the neck, without a collar, and formed in points at the center of the bosom, with three rows of letting-in lace; confined down the front of the dress with small buttons; and hemmed round the bottom with three rows of deep Mechlin lace; made rather short, and worn over trousers of white French cambric, which are trimmed the same as the bottom of the dress. A cap composed of lace and light green silk trimming, tied under the chin, with a bunch of natural flowers in front. Hair in full ringlet curls, divided in the front of the forehead. 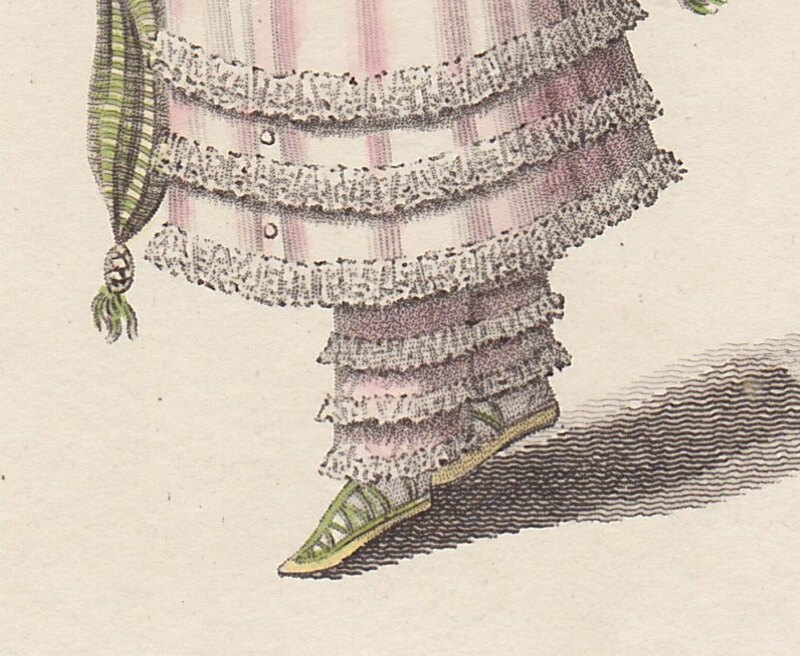 A figured short scarf of pale buff, with deep pale-green border, and rich silk tassels; worn according to fancy or convenience; with gloves of pale buff kid; and sandals of pale yellow, or white Morocco, complete this truly simple but becoming dress.